After reading the article on YouTube voices, it was really brought to my attention how subtle details carry effect. For example, whenever watching videos on YouTube I never really payed close attention to the manner of the speaker’s voice. So after reading the article, I watched John Green’s YouTube video, “Understanding the Refugee Crisis in Europe, Syria, and around the World.” When watching this video I was particularly attentive to John Green’s body language especially. He appeared to be bouncing in his seat and just generally restless, which draws the audience’s attention. He also speaks very quickly, but conversationally with the camera. 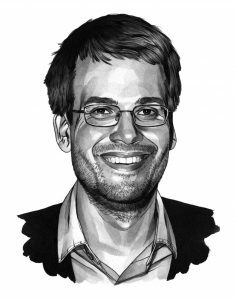 Despite the speed of his words, John Green does not use complicated words or jargon when explaining the political situation. John Green is able to break down his message with easy, understandable words so that his audience, just the average American, can comprehend what he is communicating. It was an overall cool video, thanks Mr. Green!! !